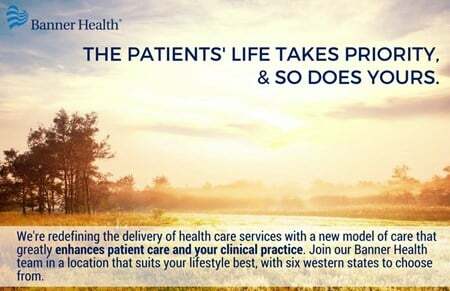 At Banner Medical Group, you’ll have the opportunity to perform a critical role in the community where you practice. Our East Valley health centers and clinics are ideally placed to provide care to all ages. The area offers convenient access to some of the most amazing scenery, hikes, shopping/dining, schools and services available to Arizona residents. Banner Medical Group provides both primary and specialty care throughout six states and in a variety of settings – from growing practices along the Northern Colorado Front Range and rural locations in Nebraska, Wyoming and Nevada to large multi-specialty practices like the Banner Arizona Medical Clinic and Banner Pediatric Specialists in the metropolitan Phoenix area. BMG currently has more than 1,300 physicians and Advance Practice Providers and is experiencing growth in all locations to enhance our ability to deliver our nonprofit mission of providing excellent patient care. Banner Health was selected as one of the Top Leadership Teams in Healthcare by Health Leaders Media, is one of the Top 100 Integrated Healthcare Networks in the nation according to SDI, and voted as one of the “Best Places to Work” in the Phoenix metro area by the Phoenix Business Journal. 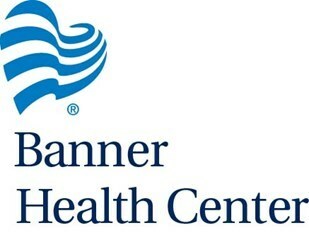 Banner Health also places health clinics in areas like Tempe, Mesa, Florence and San Tan Valley.